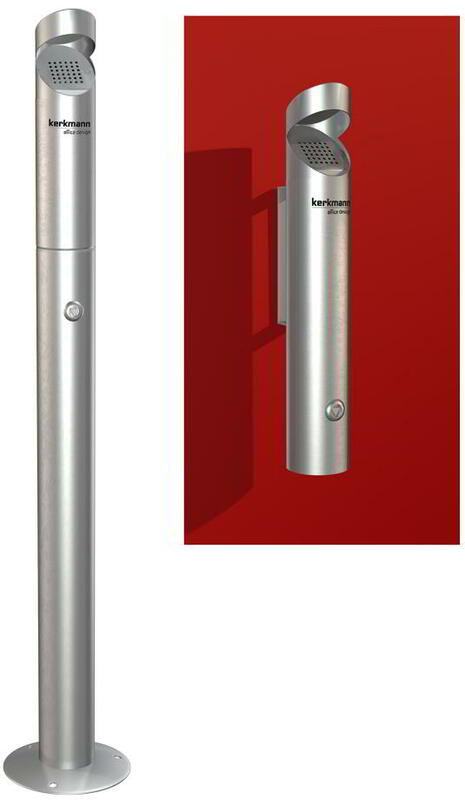 We have updated our range of smokers poles and bins with two new additions that are manufactured in Germany and both have lockable bins and can be secured to a wall or the floor. Elegant and stable stainless steel ashtray column in two versions. accessories included). Dimensions: .¸ 175 x height 1020 mm, volume 1,7 litres. b) Wall ashtray with fitting material for wall mounting. Dimensions: 75 x height 450 mm, volume 1,7 litres. Made of stainless steel, ideal for the outside. Upper and lower parts are self-extinguishing. Thief-proof due to a fixable base. 20 litre waste bin can be removed for cleaning and emptying. Bib and ashtray ideal for inside and outside your premises.